Without an Organizer, it will disappear from our website in 12 day(s). This Meetup doesn't have an organizer. 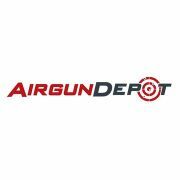 We love airguns! I know what you're thinking, but I'm we're not talking about your run-o-the-mill bb guns. Nope, we're talking about the kind of airguns that can shoot .45 or .50 caliber lead. Don't believe me? Come put one of our guns through its paces at one of our events.